Writing about my experience in Kenya with One Girl Can has been challenging. Why? Because it’s something so big that it’s hard to put into words, but I’m going to try my best. Why don’t we start at the beginning, shall we? A business I co-founded called Roots + Ardor got introduced to Lotte Davis (founder of AG Hair & One Girl Can) when Sam, my business partner, attended a local event from OGC and learned about the incredible foundation. From there, we were introduced to Lotte and her team and and began the conversation of how we could help with an upcoming project. It was a natural harmony for our teams to work together on a campaign in order to utilize our expertise to help them find success. 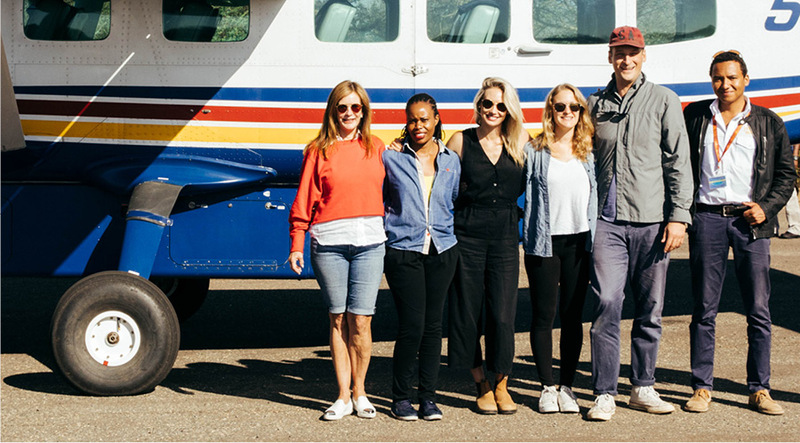 So our teams went to work with on a campaign called “All Girls Can” where we were aiming to bridge the gap between women in the west and the women One Girl Can is working with in Africa. Little did I know, I was on my way to very literally bridging that gap. Through this campaign, I got the chance to also meet Lotte and interview her for a video portion of the strategic rollout. The woman did not disappoint and her passion for the work her organization ( founded 10 years prior ) is doing did not falter throughout our initial chat. I was hooked and I’d be lying if I said I didn’t come home that evening to tell my partner that I hoped to one day be able to travel to these parts of the world in order to share the stories happening in Africa. Because that was the notion that stuck with me from the moment we met, that change is happening in Africa because of organizations like OGC. So fast forward about 6 weeks later and we were off. On September 11th we arrived in Nairobi and it was off to the races, quite literally. 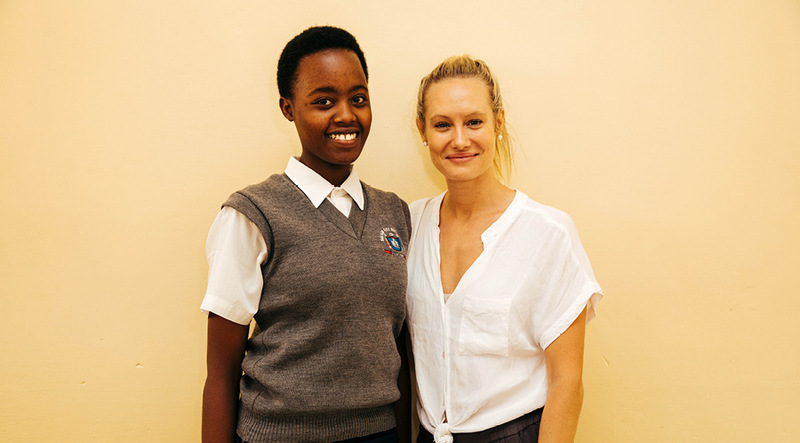 The very first day we were visiting schools, meeting these young women and interviewing mothers and daughters and fathers and teachers and headmistresses in order to really communicate the unfathomable impact OGC is having in these places. I could go on for days and days about the real change that is happening in these schools and within these women, change that is unfolding all because someone believes in them. And on that note, belief is a really powerful thing, because when you really think about, in the end isn’t that what we all need? Whether you’re from the West or the East or Timbuktu, it’s this simple idea, just to believe in someone that maybe you haven’t met and don’t know well, but you believe in good and in giving back so you do it anyway…. and then maybe something beautiful happens. Imagine if we had more of this belief in the world – how different it might be. When I think about the best way to share my experience in Kenya, I’ve gone back and forth between point form, seven blog entries and/or writing a short novel. 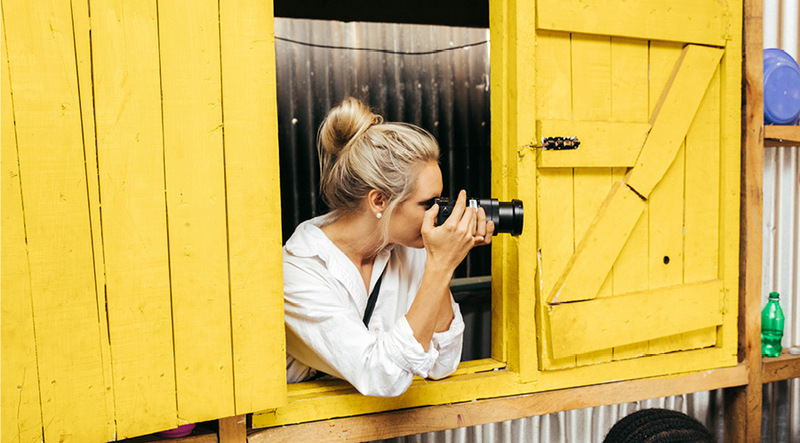 In order to save time, because let’s be real I know no one reads blog posts past 400 words these days (and I have a suspicion I’m getting close to 2000), I’m going to share the six standout lessons I learned from my experience in Kenya. One, these young women are incessantly passionate about education and the opportunity to better themselves. They don’t take it for granted and we shouldn’t either. Two, Kenyan culture is beautiful and warm and the people with the least often give the most. If everyone in the world thought more like these people with barely anything, poverty wouldn’t exist. Three, the Ushirika school we visited, which is situated in the largest urban slum in all of Africa, had the most pure energy out of any place I have ever been. I didn’t want to leave and Adam, the photographer, and I could not get over the unwavering happiness and nature of these children who love so completely even though they could be so bitter toward the world. Four, Ann, the young woman that Roots + Ardor is now sponsoring, is heading into her fourth form (grade 12) and wants to be a civil engineer. Yes, a civil engineer. And this ambitious nature wasn’t a rarity in these schools – it was actually a constant. It depicts just how big these young women’s dreams are because the more young women we spoke to, the more we heard titles like aeronautical engineer and some professions that if I’m being honest… I had never even heard of. The lesson? These young women, like Ann, aren’t afraid to have dreams that are larger than life, so we shouldn’t be afraid either. Watch the video we created for Ann here. Five, in order for change to be implemented in Africa, women need to be the investment. They are the key to change, and everyday they are fighting against the notion that they don’t deserve equality; but they do and the closer they get to it, the better things will get. Six, the work that One Girl Can is accomplishing in these schools and within these communities is something that no amount of words or even content can really translate. But if I had to put it into words I would say this, think of the thing that you want most in the world, something that you’ve dreamt about having your whole life. Something that might just be out of reach but you never lose sight of its significance. To the girls in these schools, that is education. No matter what. That thing that means everything to them, and even when their parents have trouble paying the fees and they are asked to go home and wait until the fees are cleared to come back; they are still resiliently charged by the notion of education. Because it’s their ticket out of their situation, out of their reality and it’s the only way things will change in Kenya and other African countries where women are a minimal priority. So this holiday season, consider donating to an organization like One Girl Can rather than giving more material gifts that will end up in a landfill. 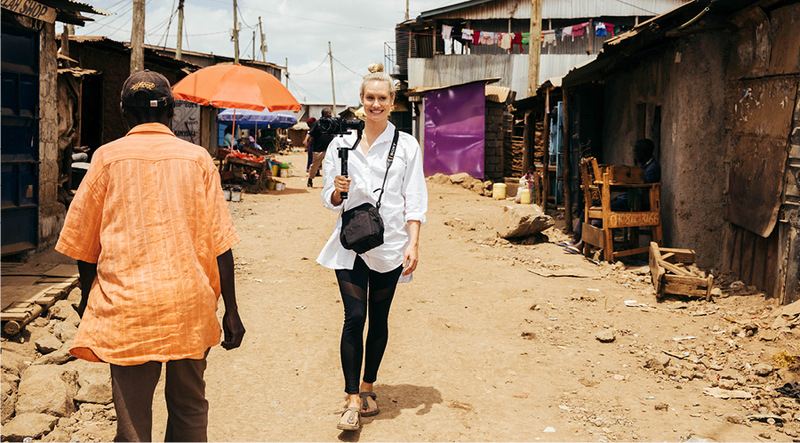 Thanks for listening and I hope I’ve inspired you to find additional ways to get involved with One Girl Can and the change that they are impacting in Kenya + Uganda.